Tough folding, adjustable cheekpiece stocks for Remington 870 shotguns featuring a streamlined hinge. Stock is locked in open position by a robust claw. A button unlocks and allows the stock to be folded. Spring tension holds stock in folded position. 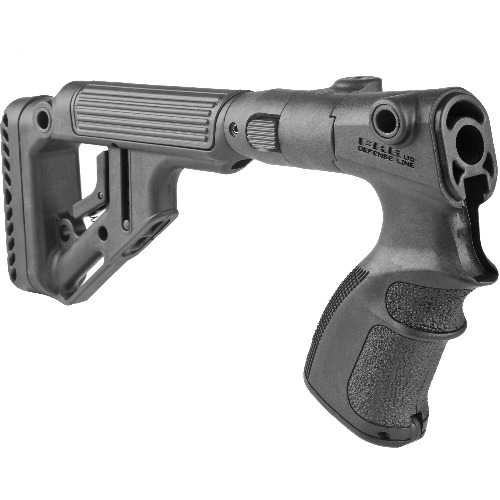 Pull stock to unfold. System is completely ambidextrous and can be switched to fold left or right.